I’ve taken quite a few road trips recently, if you read my previous posts you would know I just made a trip from Maine to Cleveland earlier this fall. 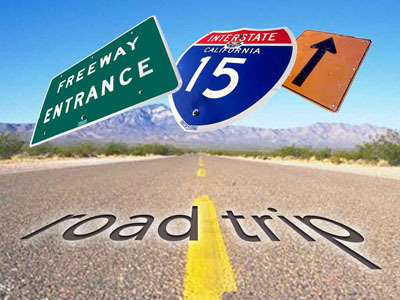 With the most travelled day of the year coming up this week I decided I would lend out some of my wisdom about road trips. The number one thing I’ve learned about making a long road trip by yourself is that your playlist is crucial. Obviously you’re going to include your current favorite songs, that’s a given, but at some point those songs get boring and you need something different to keep you going. That’s what this post is all about, finding the random songs to add to your playlist that will make the journey more enjoyable. This spring I decided I wanted to drive across the country. Sure my car was a lemon that was almost as much rust as metal, that didn’t stop me from thinking it was a good idea. What did stop me was my car not passing inspection, being told it wasn’t worth fixing and buying a new car. 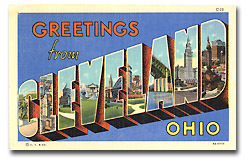 So ultimately I decided on a compromise, I would go to Cleveland. As it turns out Cleveland isn’t a place that many people choose to go for vacation. In fact it seems so few people choose to go there that no one I tell understands why that would be my choice destination still to this day. But it had several restaurants I wanted to go to and the Rock and Roll Hall of Fame, and lake Erie, and I’m sure some other stuff but I didn’t have time to see any of that. It’s important to note I didn’t only go to Cleveland, I also stopped and spent time in exotic locations such as Syracuse and Rochester New York. I really like to go all out when I go on vacation. The day I started my trip I worked 6am-1pm and planned to leave directly from work, after a little difficulty getting away (I think my boss was afraid I wasn’t coming back) I was on my way.